When you think about how much of our current technology started out as a crazy concept in some movie, it’s obvious that real life follows art quite often. German developer Filip Chudzinski has come up with an iPad app that will bridge the gap between science fiction and reality even more easily. The app, called “Envisioning,” is meant to give interaction designers and other creative professionals a new perspective on human/interface interaction. In the process, the app should provide some valuable inspiration for designers who want to invent novel methods for interacting with technology. Envisioning comes loaded with hundreds of sci-fi movie clips spanning multiple decades – clips that show technology which is fiction today but could very well be tomorrow’s reality. Users can choose between the “Explore” and “Favorites” options. 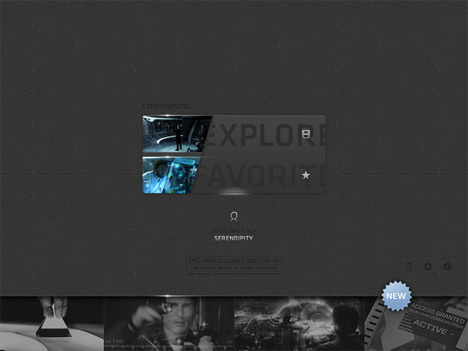 Exploring lets users browse through random sci-fi movie clips that highlight interfaces and technology. The idea is that along the way, they will stumble upon an image that offers some inspiration and fresh perspective. In Favorites mode, users can go back to previously-designated favorite clips to revisit images that triggered ideas in the past. Stringing them together or playing them in different combinations can help to stimulate the imagination and provoke the user to come up with something new and truly fantastic. The app’s tagline is “Swipe. Tap. Get Inspired. Randomly.” While we think they should have stopped short of that last word, the slogan illustrates the app’s purpose: to give technology pros the chance to call upon decades of Hollywood imagination for the purpose of building the future. 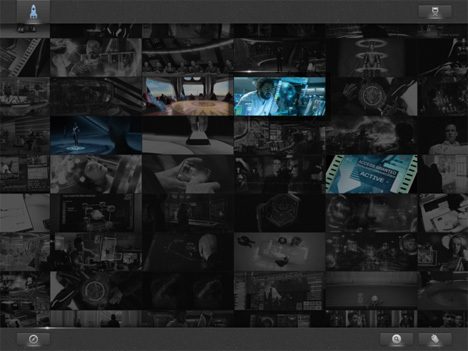 Once a user finds a clip that inspires him, he only has to turn the iPad sideways for on-screen information about the movie and the technology in question. Users don’t have to be satisfied with just the pre-loaded clips; the app also features the ability to upload more clips from the user’s own library. Envisioning isn’t yet available to download, but the intriguing premise already has interested parties lining up to hand Chudzinski their money.